Thinking about weight loss surgery? Already had weight loss surgery? If yes, then this is the app for you. 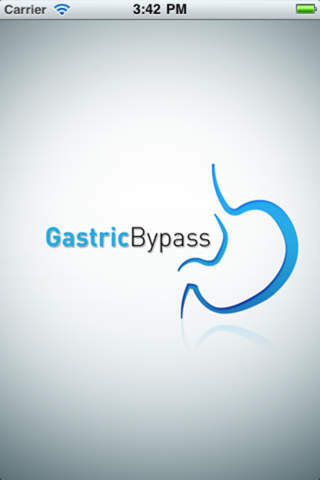 GastricBypass is part of a unique series of four apps designed with you in mind. Choose from GastricBand, GastricBypass, GastricSleeve and GastricBalloon or have all four if you’re undecided. Each app is a comforter, a motivator, a weight-loss tracker, a source of support at your finger tips. All the questions you were too embarrassed to ask your doctor, all the tips on how to maximise your weight loss – they’re all here in an easy-to-use, vibrant, interactive format. Created by a specialist weight loss team in Bristol, UK, this app covers the technical, psychological and emotional aspects of surgery. A consultant weight loss surgeon with an international reputation and a specialist weight loss nurse with over 10 years experience of living with weight-loss surgery, combine forces to deliver a powerful series of apps, which will encourage you to continue in the low times and reward you in the good times. If things appear to be going wrong, then this app will point you in the right direction and get you back on the right track. Weight loss after surgery is a long journey and not always an easy one. With GastricBypass on your phone, you’re moments away from help and support and you WILL reach your goal. *myProfile – create your own unique username and profile page to record your personal details, details of your surgery, emergency contact number, your goals and your appointments. *myProgress – enter your stats on a regular basis and literally see the weight drop off. *myHealth – get tips and information on all you need to keep you happy and healthy after bypass surgery. Helpful tips on vitamin and mineral supplements are provided. Recognise the signs and symptoms when things aren’t right and respond early to problems. Know when to ask for help and advice. *myQuestions – check you are making wise choices with your food and drink, and get tips on eating out after surgery. Contact our specialist weight loss surgery team if your questions still aren’t answered. *More – link to our forum to get tips from others who have had weight loss surgery or to help motivate others by sharing your own experiences. Find details of our associated websites if you need more information or ideas to help motivate you in your weight loss journey. Look out for regular updates.